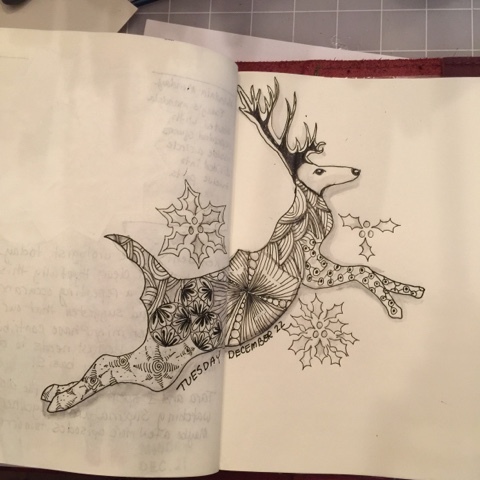 When I created my art challenge for December, I tried to be mindful of certain things...holidays, weekends, special dates. And if you have noticed, I tangle on Tuesdays because it's Tangle Tuesday on Fauxbonichi Journalers group in Facebook. And so in creating my challenge, I looked for things I could tangle. Last week, it was a snowflake and week before was an ornament. This week, it's "reindeer." In trying to look for new patterns to use, I went to Tangle Patterns. And though I realize it's not the most efficient way to look for patterns, I sometimes will look at the scrolling patterns on top of the page and just write down patterns I like. And when I have a few I've picked out, I go to the pattern page to look for instructions. 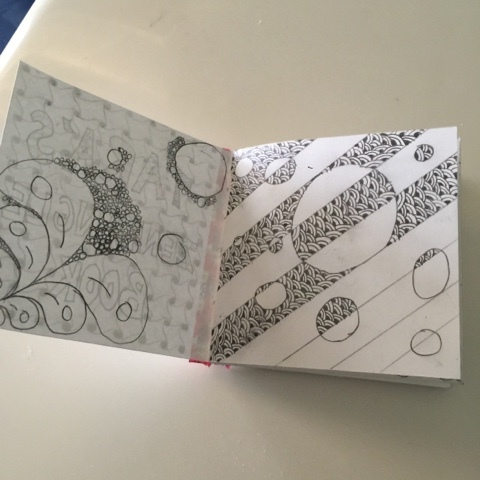 If you recall, I have a zentangle pattern book I created to store patterns. 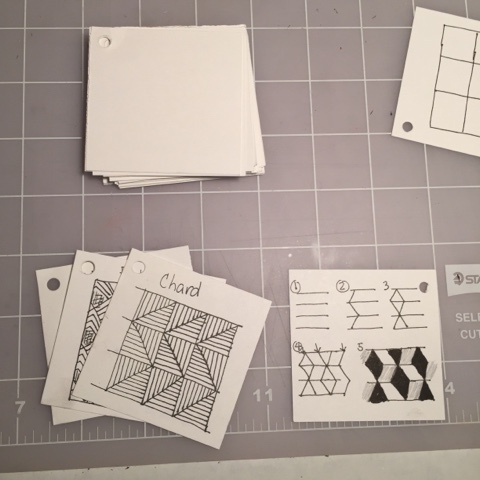 And because I had time this morning, I was able to create pattern cards of the patterns I used today. 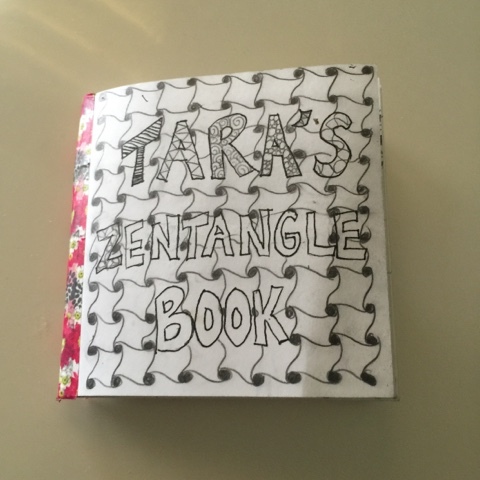 My youngest got to do zentangle in her art class this semester and she's become interested in tangling so I created a mini book for her to tangle. It's a 4.25 X 4.25 book made from card stock. There are 48 individual square sheets in the book so it should keep her busy over the winter break. I'm also trying to create a mini pattern book for her. 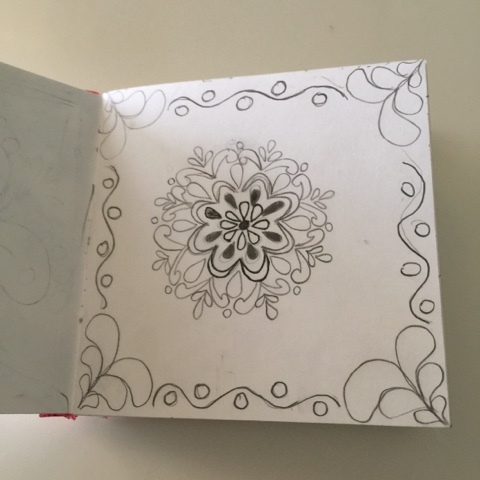 She could use mine, but I think she will zentangle more if she had her own portable pattern book. How about you? 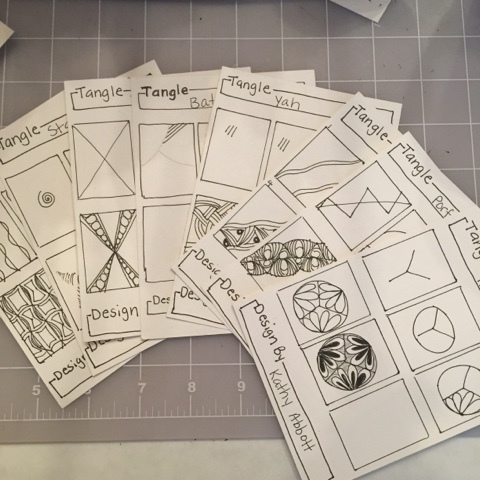 Are you ready to tangle? No. I'm not ready to tangle yet, at least not artwise. I'm glad you're back to doing it though. It is nice to see and I find the whole thing quite fascinating. My hands cramp up just thinking about trying this not to mention the I have no talent part. I do enjoy seeing creative people being creative. Keep up the good work, Angelcake, and I'll keep up the good admiring of the good work! I like that reindeer. Beautiful art as always! I wish you I had your patience but my mind can't seem to slow down. Thank you, Lili! I really enjoy the process.